What is the shelf life of your capsules? NESCAFE Dolce Gusto capsules are all produced with 12 months of shelf life from our facilities in Europe based on a stringent set of quality guidelines. The hermetically sealed capsules ensures the freshness of the products for its entire shelf life so you can be assured of the quality, aroma and taste of all your beverages when you prepare it at home or in your office with your NESCAFE Dolce Gusto coffee machine prior to the ‘Best Before’ date indicated at the bottom of each capsule box. What is the minimum shelf life of your selling capsules? Nestlé’s policy is to sell products with at least 4 months validity. This applies to our webshop and retail channels for our consumers’ optimal enjoyment of our products. Is it safe to consume your products if it's less than the minimum sales shelf life? Yes, our products are still perfectly fine and in good condition if it’s less than the minimum shelf life. Our capsules are produced to be stay valid down to the last day of the expiry date for maximum enjoyment period of our beverages. What is your Subscription Package? Our subscription package involves an automatic delivery of a minimum of 5 boxes of capsules, on a fortnightly or monthly basis. Enjoy the lowest price of $9.90 per box (16.8% discount) from your 2nd delivery onwards. Enjoy free delivery with a reduced minimum purchase of 5 boxes of capsules (previously at $60). Can I cancel my subscription and how do I do it? Yes, you may do so at any time by selecting 'Cancel' on your subscription page. Remember to cancel at least 24hrs before your Re-order date. What is the delivery frequency? You can choose the delivery to occur on a fortnightly or monthly basis. Once the subscription order has been triggered, it will go through the same process as a regular delivery. Subsequent orders will be triggered automatically. Why is the discount of 16.8% only applied on the 2nd delivery onwards? This is to ensure only those who consistently purchase will be rewarded with the best price. Can I use a promotion code for my Subscription Plan? Promotion codes are not applicable to Subscription Plans. Can I change my flavours and delivery details? Yes you can change your flavour, delivery address and delivery frequency. Just make the changes in My Account à My Subscriptions at least 24 hours before your next reorder date. Can I combine regular order & subscription order? No, our Subscription Service functions as an entirely separate order. Will there be a notification email send on the status of the payment (successful/unsuccessful)? Upon a successful payment, you will receive a new order notification email. If the payment is unsuccessful, a notification email will be sent to you. Our system will try to pull the purchase for 3 times, on consecutive days and a notification email will be sent with each failed attempt. On the last try, another email will be sent to inform that your subscription is paused due to unsuccessful payment. You will then need to reactivate your Subscription Service. Can I change my Credit Card details once I have made my first purchase? No, this is because once you have subscribed, your subscription order will be encrypted with your Credit Card details. Should you wish to change your Credit Card details, you will then have to cancel your current subscription and resubscribe with the new Credit Card. I am new to NESCAFÉ Dolce Gusto, how do I register? What are the benefits of being a webshop member? Capsule Subscription with the lowest capsule prices! Please check in your junk mail folder. If you can’t find the email, you can request a new confirmation email. Just login at the top right hand side of the screen using your username and password. You will then be prompted to enter your email address and a confirmation email will automatically be sent. Once you have clicked on the link from the email your account will be fully activated. I’ve bought a new machine, what do I do? If your machine does not bear the KRUPS logo, there is a promo code found in the capsule box packed with the machine. Use it on the webshop to enjoy $20 off your order. Go to the NESCAFE DOLCE GUSTO Online Shop. Select the quantity of the item you want then click on the little trolley icon next to it. When you’ve finished shopping, click on the ‘Check out’ button. You’ll be able to review your order and check you have the correct number of items you require. You can change the amount of items and click on ‘Update’ to update your basket. Click on ‘Address’ once you’re happy with your order and follow the online instructions. All orders below $60 (net) will be charged a shipping fee of $11. The final amount includes any promo codes that have been applied. In this scenario the additional shipping amount of $11 will be added because the final amount is under $60. Hence the total of $50 + $11 = $61 will be deducted. How do I use a promocode? On the checkout page, click 'Do You Have A Promo Code?' and type in your 12-character code in the box. You may only use 1 code per order. If it has gone through, we will send you an email confirming we have received your order. 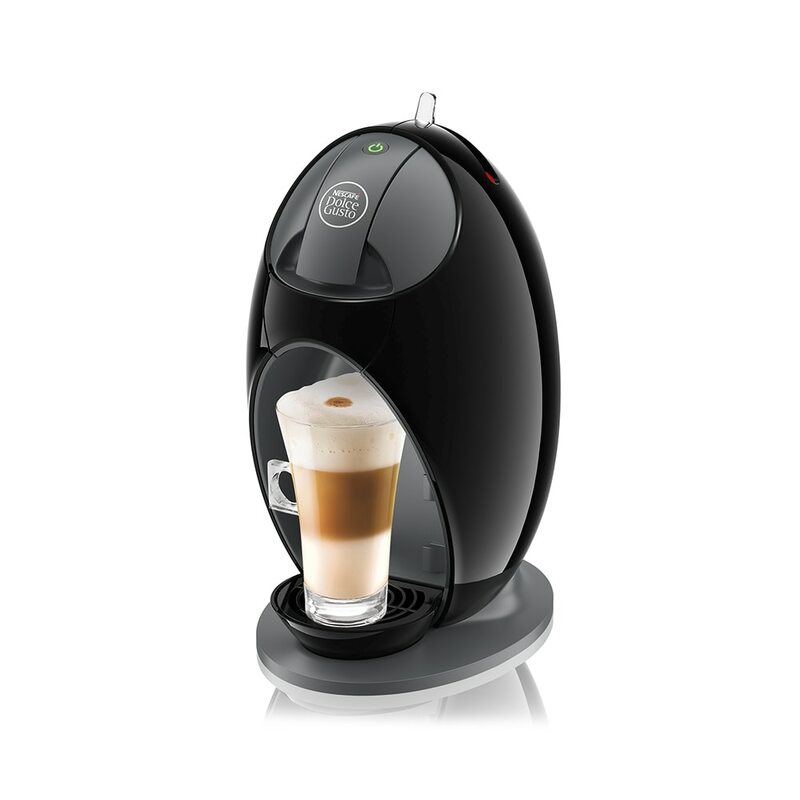 Be sure to check your email junk mail folder and add NESCAFE DOLCE GUSTO to your safe sender list. If you need any further help please call the NESCAFÉ DOLCE GUSTO hotline free on 1800 836 7009. You have up to 24 hours upon placing our order, not counting public holidays and weekends, to contact us to make any changes. Any later and we will not be able to make any changes. For more details please call our hotline at 1800 836 7009. NESCAFÉ DOLCE GUSTO is unable to make any changes to your order once you have completed checkout. You will have to receive your product and adhere to our return policy. Please note that the refund process may take up to a minimum of 40 – 45 days and will be reflected in your next credit card statement. GoodShip will deliver your order within 4-6 working days after your order date. Delays may occur during peak periods or due to traffic jams & severe weather conditions. What if I’m not around to collect my delivery? If you miss your delivery, Goodship will contact you directly to reschedule your delivery. Please note that an order can be rescheduled up to 2 times. If you have already rescheduled your order twice and the third delivery attempt is unsuccessful, we reserve the right to charge a redelivery fee of $11. Who is delivering my order and how can I track my order? GoodShip is our logistics partner responsible for the delivery of your order. You will be sent a SMS notification that contains your Task ID and a link to GoodShip Track & Trace function. Contact us at our hotline at 1800 836 7009 should you have any questions or not received your order after 6 working days upon ordering. If you are not completely satisfied, please call the NESCAFÉ DOLCE GUSTO hotline free on 1800 836 7009. We will honour a one-for-one exchange for faulty machines within 7 working days upon receiving your machines. We reserve the right to troubleshoot over the phone before approving the one-for-one exchange. To change your details, please login with your existing username and password. Then roll over ‘My NESCAFÉ DOLCE GUSTO’ at the top of the page and click on Profile & account. If you change your email address you will be sent an email confirmation. Please follow the instructions on this email to confirm the changes. It’s quick and easy to change your email address on the NESCAFÉ DOLCE GUSTO website. How do I unsubscribe from hearing from NESCAFE DOLCE GUSTO? To unsubscribe from our communications (including latest offers, products, news and free samples) please call the NESCAFÉ DOLCE GUSTO hotline free on 1800 836 7009 or email us at Nestle.Privacy@SG.nestle.com. Please bear with us. Due to our processes, you may still receive some communications for up to two months.